To find maps, traveler tips, other places to visit, and other tourist information, you can read our Lusaka trip planner . Dubai, United Arab Emirates to Lusaka is an approximately 11-hour flight. Traveling from Dubai to Lusaka, you'll gain 2 hours due to the time zone difference. 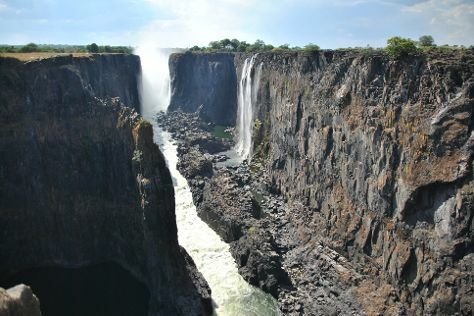 You'll set off for Victoria Falls on the 6th (Mon). Start off your visit on the 7th (Tue): take in the views from Victoria Falls Bridge, explore the striking landscape of Mosi-oa-Tunya / Victoria Falls National Park, and then take an unforgettable tour with a helicopter tour. Traveling by combination of flight and car from Lusaka to Victoria Falls takes 2 hours. Alternatively, you can drive; or do a combination of bus and car. Expect a daytime high around 32°C in May, and nighttime lows around 13°C. Finish up your sightseeing early on the 7th (Tue) so you can travel back home.